It has been a tiring week. 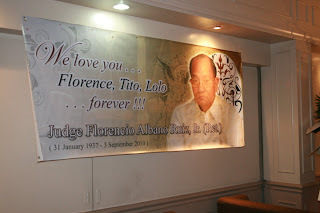 Our dear Tito Florence passed away last September 3rd and it was a flutter of activities since then. His body was temporarily interred at the Arlington Memorial Chapels from Saturday to Monday, then transferred to Ilocos on Tuesday. 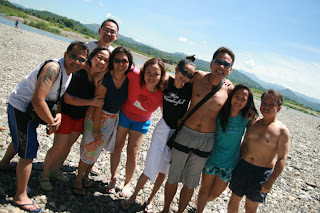 Then off we went to Bacarra, Ilocos Norte by Wednesday night. We just got home this morning. It was sad going back there without Ninong to greet us at the bus station. It reminded me of how, a year ago, he waited for us at the station for 2 hours since our trip got delayed. How we always have coffee in the morning since we woke up at the same time. How I always get pasalubong from him every time he visits Manila. Now, Ninong is gone. He has gone home but his memories will be with me. Yes, it was sad, but to be realistic about it, it was also nice seeing and bonding with the cousins again. In spite of our sadness , we found time to laugh and chatter. It was also nice to experience "Gulgol," the traditional Ilocano wake and burial for the first time. 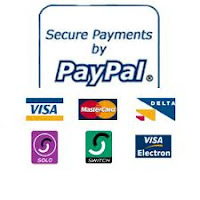 Learning experience for me. "Gulgol" is done the morning after the burial to drive away the spirit of the dead relative so that he may go straight to heaven. All relatives who joined the burial must participate. 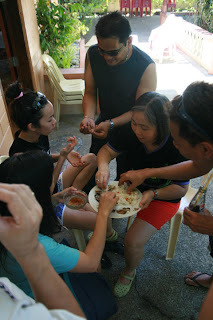 Each participant's hair is rinsed by a mixture of fresh chicken blood and vinegar and burnt rice hay. 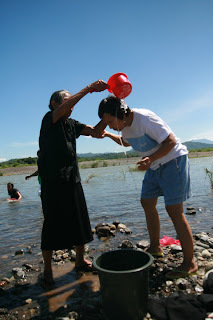 After hair is rinsed, the participant goes into the river to rinse off. Being with the cousins added fun to the ceremony. We had lots of pictures taken and felt like we were having a picnic. No disrespect to Ninong but I knew, he would have wanted to see us laughing instead of crying. He was that kind of person. 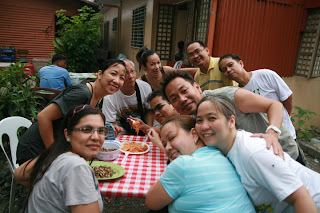 So after Gulgol, we went back to the house and had a boodle feast! Haha! the cousins are crazy! 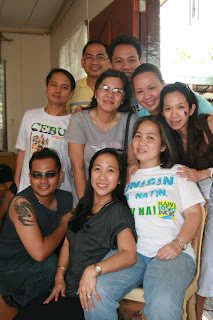 After the boodle feast of sinangag, danggit and eggs, we freshened up for our trip back to Manila. Of course the cousins had another round of crazy photo shoots before we bid Ilocos goodbye.